From mountain biking to hiking to camping, 51-year-old Marty Wood of Lusk, Wyo., spent much of his free time enjoying the outdoors. When he wasn’t racing down the sides of mountains on his bike, he took on another thrilling and challenging task, being a high school principal. This past April, however, Wood began experiencing heart attack-like symptoms. After being taken to a local hospital for initial healthcare treatment, Wood found out that he had a dissecting aortic aneurysm. He was transferred to Northern Colorado Long Term Acute Hospital in May where he continued to receive healthcare treatment. When Wood arrived at Northern Colorado Rehabilitation Hospital, he suffered from paralysis, low levels of oxygen in his blood, and kidney failure, all caused by the dissecting aortic aneurysm. He received physical and occupational therapy at the hospital to help regain strength and use of his muscles so he could re-learn how to walk independently and perform daily activities like eating and brushing his teeth. Wood was released from Northern Colorado Rehabilitation Hospital back in July. 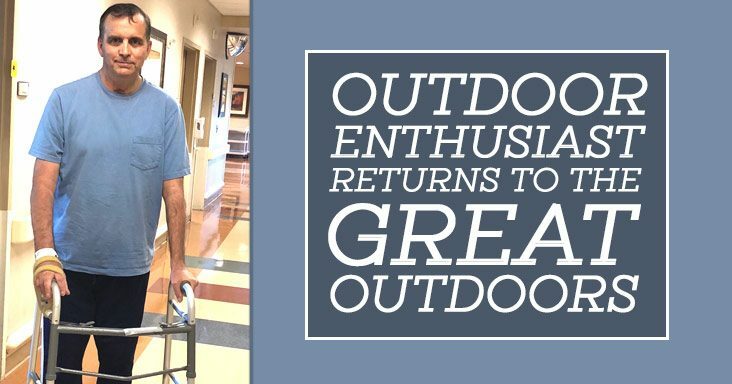 He now is independent with the use of a front-wheel walker and hopes to be back on the mountains enjoying the outdoors soon.